Three games and just two points. Like city rivals, Lokomotiv Moscow CSKA Moscow had a slow start to the new Russian Premier League season. It was a slow start that was somewhat expected as head coach Viktor Goncharenko continues to retool on the fly and Wednesday the Red Army club added another piece to the puzzle by signing Everton’s Nikola Vlašić on a season-long loan deal. Nikola Vlašić is already CSKA Moscow’s sixth signing of the season, and given that the club has lost ten key players, Aleksandr Golovin (AS Monaco), Vitinho (Flamengo), Bibras Natkho (Olympiakos Piräus) were sold or chose not to renew their contracts. Meanwhile, Sergey Ignashevich, the Berezutski twins, Aleskey and Vasili, ended their careers. Aaron Olanare, Georgi Milanov and the very popular Pontus Wernbloom left the club without a destination in mind. Finally, Ahmed Musa was not resigned, the Nigerian was on loan from Leicester City and had a strong World Cup after CSKA announced that they would not make his move permanent. In return, CSKA have signed 25-year-old Hördur Magnússon (Bristol City), 19-year-old Jaka Bijol (Rudar Velenje), 20-year-old Ilzat Akhmetov (Rubin Kazan), 27-year-old Abel Hernández (Hull City), 22-year-old Rodrigo Becão and now 20-year-old Nikola Vlašić. Together the new signings have an average age of just 22.16 years. The changes have meant that CSKA Moscow have turned from being the most experienced side in the Russian Premier Liga to the youngest side in the Russian top flight. With an average age of just 24.1 CSKA are, on average, two years younger than Ural, who field the second youngest team in the competition. Furthermore, with just six foreigners, Magnússon, Becão, Bistrović, Bijol, Hernández and Vlašić CSKA are in a position to field all their foreigners any given matchday. Only Rubin Kazan, Dinamo Moscow, Orenburg (all five) and Krylia Sovetov (four) have fewer foreigners in their squads then CSKA. Long gone are the years in which CSKA Moscow spent big money on big-name stars. Famous star names likes of Vagner Love, Seydou Doumbia, Ahmed Musa, Jô and many more that wore the famous red and blue shirt are currently absent from this squad. Instead, the focus is on making stars. Opening the brand new VEB Arena last season meant that the club has sunk a big part of its budget in the new stadium. Hence, similar to what was the case with Arsenal, and the Emirates, the club has to recuperate money spent on the new facility and club officials the best way forward will be with young players from their academy, with an eye on selling them with a profit, and bringing in young, and exciting talent, from abroad. What can Nikola Vlašić bring to CSKA? Nikola Vlašić falls into the latter category. 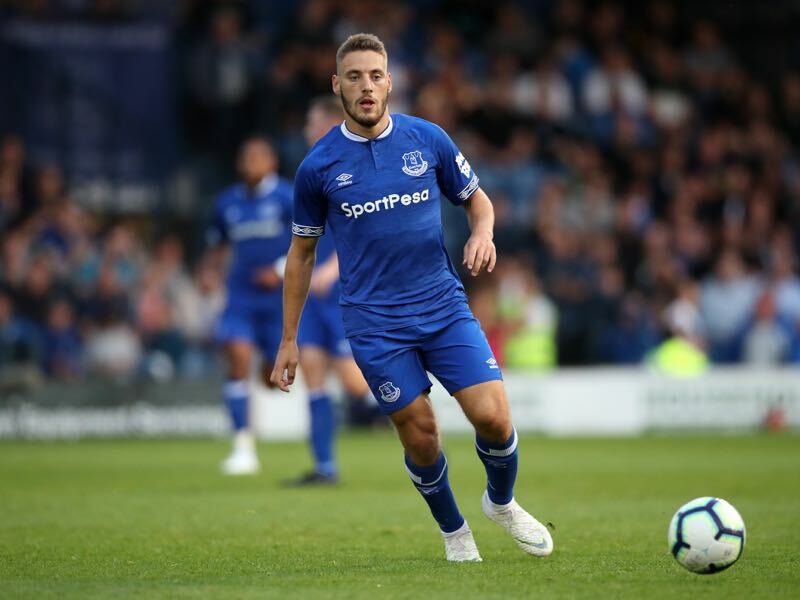 Signed on loan the 20-year-old Croatian attacking midfielder managed 12 English Premier League, and six Europa League, games for Everton last season. Brought in from Hajduk Split Vlašić was considered one of the biggest talents in Croatian football one year ago. But the transition to England proved to be difficult – especially as Everton struggled throughout the season. The Premier League club started the season poorly under Ronald Koeman and then lacked a proper football philosophy under Sam Allardyce. Allardyce, in particular, is an old-school English coach. Under him, talented players like Davy Klaassen, who has since left the club for Werder Bremen, and Ademola Lookman, who is still looking for a way out, withered away, or quickly looked to move on. Furthermore, even after Everton announced the signing of new coach Marco Silva it was clear that Vlašić would have difficulties making his way into Everton’s first team. After all the club spent big to bring in attacking players Richarlison and Bernard. Also with Gylfi Sigurdsson, the Toffees have a playmaker, who is still a level above the young Croatian. Vlašić, however, needs playing time and a coach that believes in him. CSKA Moscow will be playing in the UEFA Champions League this season, and with Viktor Goncharenko, have a head coach in charge, who believes in giving plenty of playing time to young players. The 20-year-old Croatian, in turn, will be expected to fill the hole left behind by Aleksandr Golovin. Vlasić has shown in the past that he has the potential to do exactly that. Playing as a teenager Vlašić has already appeared in 86 1.HNL games for Hajduk Split the Croatian wunderkind scored 11 goals and 17 assists. Nikola Vlašić had his big breakout season in 2016/17. Playing 30 games, he scored four goals and eight assists. In 2017/18, just before he joined Everton, he added another three goals and one assist in just six games. In fact, with Nikola Vlašić CSKA Moscow are signing the sort of player they did not have since Zoran Tosić left the club in 2017. A fast, and quick dribbler, with the ability to play several attacking positions Vlašic will give CSKA Moscow some much-needed depth in the attack. Furthermore, the Croatian wunderkind is adaptable, which allows Goncharenko to use him in several positions in his 3-5-2 system. At the same time with just 22 players in the squad, and CSKA having to play in the Champions League this season, expect more business from the Red Army side towards the end of August.